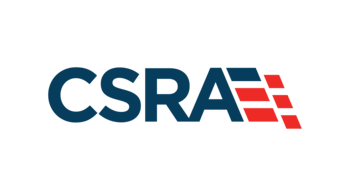 With the support of the Naval Historical Foundation, valuable contextual interpretation is being developed for artifact display cases located in the South Hall of the Cold War Gallery of the National Museum of the United States Navy. 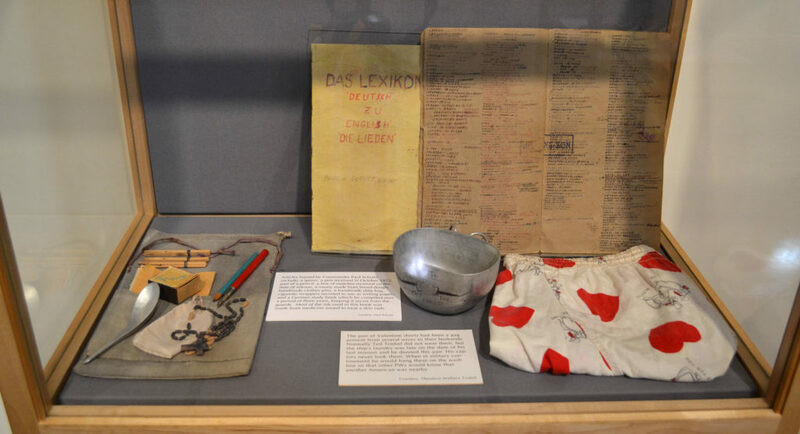 On display within these glass cases are Vietnam Prisoner of War artifacts including boxer shorts dotted with red hearts, a shoulder board, sandals, a chess set, cigarettes, soap, toothpaste, a toothbrush, and textbooks. 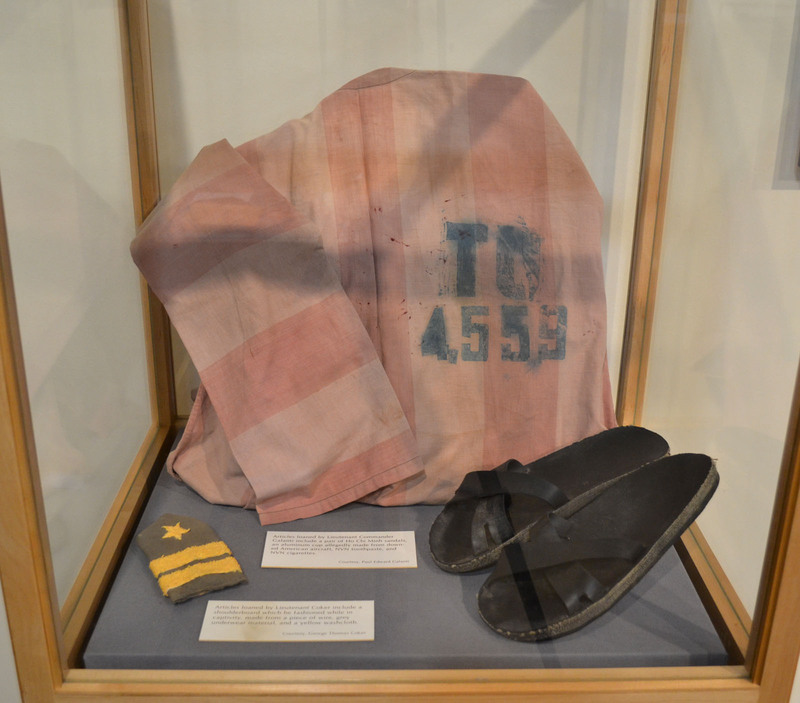 Forty years ago, these items made their way back to the United States as possessions of released U.S. Navy POWs. In the case of a pair of heart-covered skivvies―a Valentine’s Day gift―they were all that were available for Lt. Theodore W. Triebel to don as his laundry was not returned before his mission over North Vietnam that resulted in his shootdown and capture on 27 August 1972. 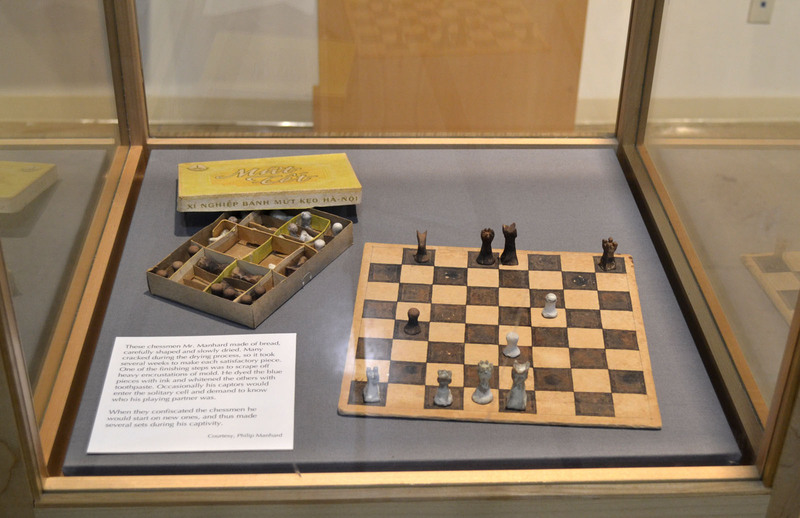 The shoulder board, chess set, and textbooks represent items skillfully crafted, hidden, and often re-created by the prisoners after confiscation by guards, during the years of captivity punctuated with torture. On 12 February 1973, Operation Homecoming began in earnest with the first flight of 40 released captives from Hanoi who boarded an Air Force C-141A transport. With the longest held prisoners receiving head-of-the-line privileges, Everett Alvarez returned with this group. Shot down on 5 August 1964, as a Lt. (j.g. ), Alvarez spent 8 years and 7 months in captivity. Over the next six weeks, the shuttle would continue between Vietnam and the Philippines. As one of the more recent Americans captured, Lt. Triebel returned on the final flight that departed Vietnam on March 29, 1973. With four new narrative panels explaining the POW experience, and a dramatic 6 minute video, museum visitors will have a better appreciation for the true significance of these items. For some of the former POWs, adjustments to freedom proved challenging. However, the majority of the released naval aviators continued in their service careers and moved on to success in the civilian sector. In the case of Alvarez, he would retire as a commander and go on to law school. Seven of the POWs would attain flag rank. Jeremiah Denton would retire as a rear admiral and serve a term in the U.S. Senate representing Alabama. John S. McCain III would leave the Navy to represent Arizona in the House of Representatives and in the Senate. Others achieved success in other fields. Following his retirement, Capt. 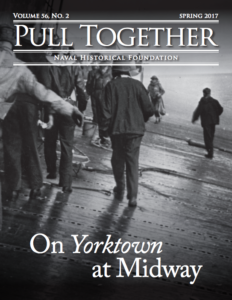 Ken Coskey would serve as Executive Director of the Naval Historical Foundation. One of the textbooks on display in the Cold War Gallery bears his handwriting. This new signage and POW video will debut at the Naval Historical Foundation Annual Meeting (more info on that event here). For more information on the Cold War Gallery, please visit usnavymuseum.org.